In this part of the workshop you will learn to use the five basic principles of attachment-focused EMDR. For many traumatized patients, attachment repair is a critically important component of successful treatment – a component that can be accomplished effectively and efficiently by using EMDR within a positive therapeutic alliance. Videotaped demonstrations, discussion, and practice will help you define the differences between attachment-focused EMDR and a more traditional approach. 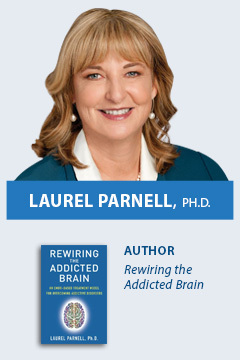 In addition, Dr. Parnell will emphasize how the technique called “Resource Tapping” can be used to repair developmental deficits as well as to help prepare clients for trauma processing work. You will watch Dr. Parnell use Resource Tapping, will have a chance to practice the technique yourself, and will learn how to integrate it with EMDR.